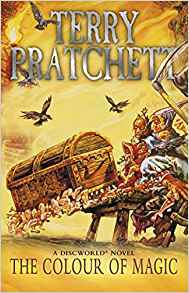 I decided that this year I would start to re-read all of the Discworld books in order, since it has been at least five years since I picked one up and I have always found them, and Pratchett, to be pretty inspirational for my own work. So, having started from the very beginning of it all I have now begun reading Equal Rites having finished The Colour of Magic and The Light Fantastic. I have mixed feelings about the first two, if I am being completely honest. 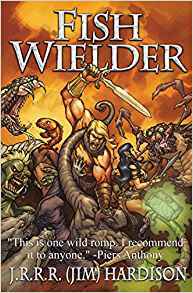 Even after all these years they are still very fun to read, and it has been just long enough that while I still remembered the basic progress of the stories, there were a couple of surprises waiting in the 'hows' and 'who's'. Rincewind and Twoflower are still a great combination of practical fear of everything and irrational optimism, with one dragging the other hilariously into or out of one impossible situation before running headlong into the next. Pratchett was always a fantastic character writer, and I think this is what has (so far at least) kept his books relatively timeless. It also helps that we are still dealing with the same idiocies in society that makes his comic observations and parody of the situation relevant to this day and age. For the mixed part of my mixed feelings I do, upon this second reading, feel that he was trying a little too hard at points to be completely absurd, and felt that perhaps he let some of the details of the story get away from him. There are a few moments where the characters don't really feel like themselves, with Death being the most noticeably different for me compared to his later personality in books like The Hogfather. While I suspect this is reasonably common in early books of any grand series, where there are around forty books of character development, it is still a little detracting for a second read through, especially when you are screaming 'but why?!' at a book and everyone on the train starts to give you worried looks. 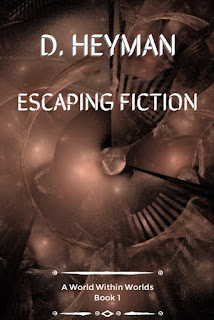 For the first time reader, and those like me for whom it has been a while, these are still a great part of the overall series and are well worth your time. If I had to rate them, which since this is a review site I suppose I am mildly obligated to do so, I would give them an 8 out of 10. As I said, the story still holds up to a re-read twenty years later and remains genuinely funny and enjoyable. 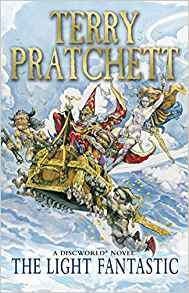 They are also reasonable self contained as a pair, which is something I have always liked about the Discworld in that you are not forced to read much of it in sequence if you just want to dip in and out of this wonderfully magical world. You can borrow both of these books from our online library today, with a months free trial for new members here!